Dakota Growers Acini Di Pepe Pasta - 10 Lb. Dakota Growers Egg Noodles Pasta - 5 Lb. Dakota Growers 0.5 in. Egg Noodles Pasta - 5 Lb. Dakota Growers 0.25 in. 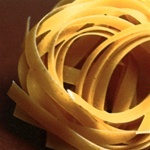 Egg Noodles Pasta - 5 Lb. Dakota Growers 0.75 in. Egg Noodles Pasta - 5 Lb. Dakota Growers Cavatappi Pasta - 10 Lb. Dakota Growers Curly Lasagna Pasta - 10 Lb. Dakota Growers Ribbed Lasagna Pasta - 10 Lb. Dakota Growers Rainbow Rotini Pasta - 10 Lb. Dakota Growers Whole Wheat Penne Rigate Pasta - 5 Lb. Dakota Growers Angel Hair Cut Capellini Pasta - 10 in. Dakota Growers Fettucini Pasta - 10 Lb. Dakota Growers Fettucini Pasta - 20 in. Dakota Growers Heavy Wall Elbow Pasta - 10 Lb. Dakota Growers Linguine Pasta - 10 Lb. Dakota Growers Penne Rigate Pasta - 10 Lb. Dakota Growers Regular Elbow Macaroni Pasta - 10 Lb. Dakota Growers Rotini Spirals Pasta - 10 Lb. Dakota Growers Spaghetti Pasta - 20 Lb. Dakota Growers Spaghetti Pasta - 10 in. Dakota Growers Dreamfields Elbow Macaroni Pasta - 10 Lb. Dakota Growers Mrs. Weiss Kluski Noodle Pasta - 10 Lb. Dakota Growers Angel Hair Cut Capellini Pasta - 10 Lb. Dakota Growers Heavy Wall Elbow Macaroni Pasta - 10 Lb. Dakota Growers Fettucini Spinach Pasta - 10 Lb. Dakota Growers Fine Noodle Pasta - 5 Lb. Dakota Growers Ribbed Lasagna Pasta - 10 in. 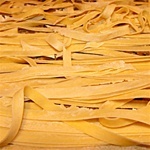 Dakota Growers Linguini Cuts Pasta - 10 Lb. Dakota Growers Medium Egg Noodles Pasta - 5 Lb. Dakota Growers Noodle Wide Pasta - 5 Lb. Dakota Growers Rigatoni Pasta - 10 Lb. 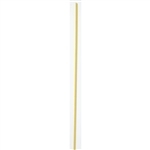 Dakota Growers Spaghetti Thin Long Pasta - 20 in. 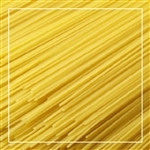 Dakota Growers Spaghetti Cuts Pasta - 10 Lb. Dakota Growers Spaghetti Long Pasta - 20 in. Dakota Growers Extra Wide Noodle Pasta - 5 Lb. Dakota Growers Medium Shells Pasta - 10 Lb. Dakota Growers Prince Spaghetti Pasta - 10 Lb. Dakota Growers Prince Elbow Macaroni Heavy Wall Pasta - 10 Lb. Dakota Growers Prince Elbow Macaroni Regular Pasta - 10 Lb. 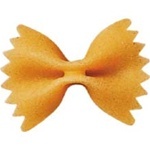 Dakota Growers Prince Farfalle Pasta - 10 Lb. Dakota Growers Prince Medium Egg Noodles Pasta - 5 Lb. Dakota Growers Prince Penne Rigate Pasta - 10 Lb. Dakota Growers Prince Rainbow Spirals Pasta - 10 Lb. Dakota Growers Prince Rotini Pasta - 10 Lb. Dakota Growers Prince Ziti Cut Pasta - 10 Lb. Dakota Growers Prince Noodles Pasta - 5 Lb. Dakota Growers Prince Kluski Pasta - 5 Lb. Dakota Growers Prince Linguini Pasta - 10 in. Dakota Growers Prince Spaghetti Pasta - 20 Lb. 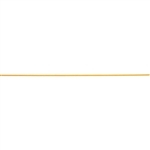 Dakota Growers Prince Spaghetti Thin Cut Pasta - 10 Lb. Dakota Growers Ronzoni Linguini Long Pasta - 20 Lb. Dakota Growers Ronzoni Medium Noodles Pasta - 5 Lb. Dakota Growers Ronzoni Extra Wide Noodles Pasta - 5 Lb. Dakota Growers Ronzoni Elbow Macaroni Heavy Wall Pasta - 10 Lb. Dakota Growers Ronzoni Ditalini Pasta - 10 Lb. Dakota Growers Prince Fettucini Cuts Pasta - 10 in. Dakota Growers Prince Fettucini Spinach Pasta - 10 Lb. Dakota Growers Prince Orzo Rosa Marine Pasta - 10 Lb. Dakota Growers Prince Radiatore Pasta - 10 Lb. Dakota Growers Prince Small Shells Pasta - 10 Lb. Dakota Growers Prince Vermicelli Cut Pasta - 10 in. Dakota Growers Prince Lasagna Ribbed Pasta - 10 Lb. Dakota Growers Ronzoni Kluski Regular Pasta - 5 Lb. Dakota Growers Ronzoni Lasagna Ribbed Pasta - 10 in. Dakota Growers Ronzoni Orzo Roso Marine Pasta - 10 Lb. Dakota Growers Ronzoni Pot Pie Bows Pasta - 10 Lb. Dakota Growers Ronzoni Smooth Edge Lasagna Pasta - 10 Lb. Dakota Growers Ronzoni Spirals Mixed Pasta - 10 Lb. 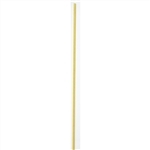 Dakota Growers Spaghetti Thin Cut Pasta - 10 in. Dakota Growers Kluski Extra Wide Noodles Pasta - 5 Lb. Pasta Growers Mini Penne Rigate - 10 Lb. Dagr Jumbo Shells - 20 Lb. Dagr 51 percentage Wg Elbw Mc - 20 Lb. Whole Wheat Egg Noodles Wide Pasta - 10 Lb.